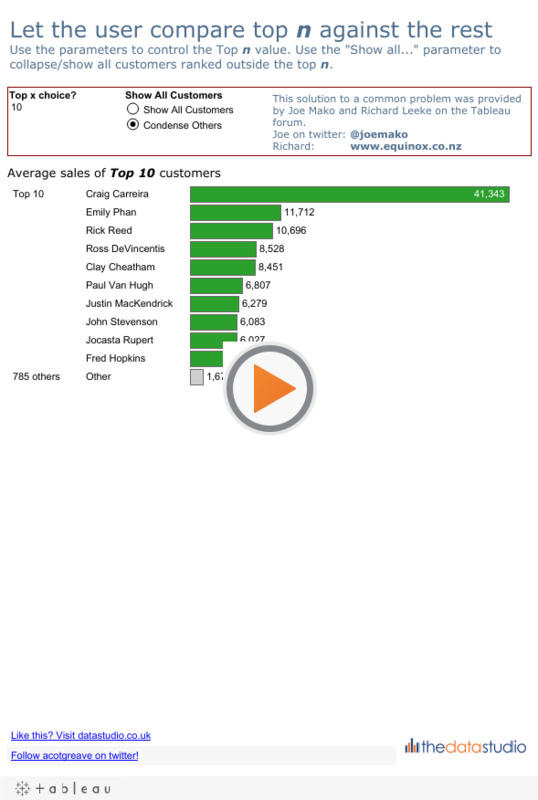 Today (Thu 16 April) I did a Webinar for Tableau, “How to drive the message home with the right dashboard.” (the webinar recording will be available on that page very soon). Stephen Few’s excellent book about dashboards: “Information Dashboard Design“. If you are just starting out in visual analytics, this is a must-read book. It’s balanced and sets out good principles which, once learned, can be adapted. Iraq’s Bloody Toll. This is one of my favourite charts/dashboards of recent years. 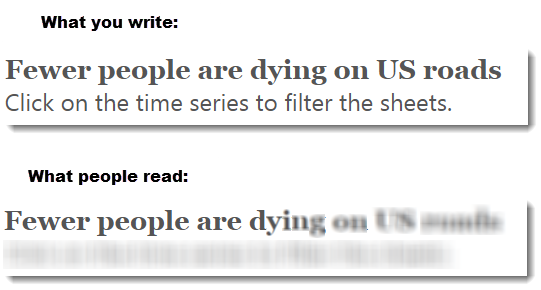 So simple and yet so effective. How come we see bigfoot fewer times, despite us all now having smartphones? “What movie should I watch?” A detailed dashboard with the instructions in the top left – the only place you could guarantee someone will read them. 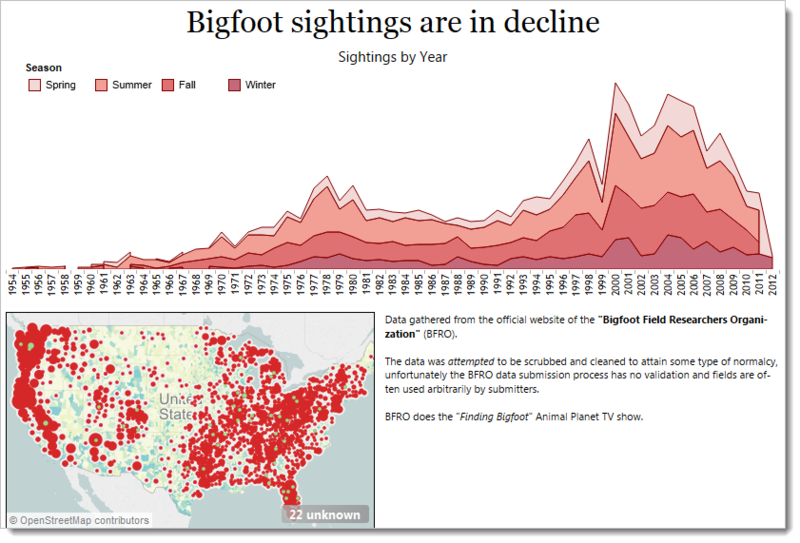 “Finding bigfoot” Ryan Robitaille’s excellent bigfoot sighting exploratory dashboard. Previous post: Next post: How is Channel 4 covering the Election? 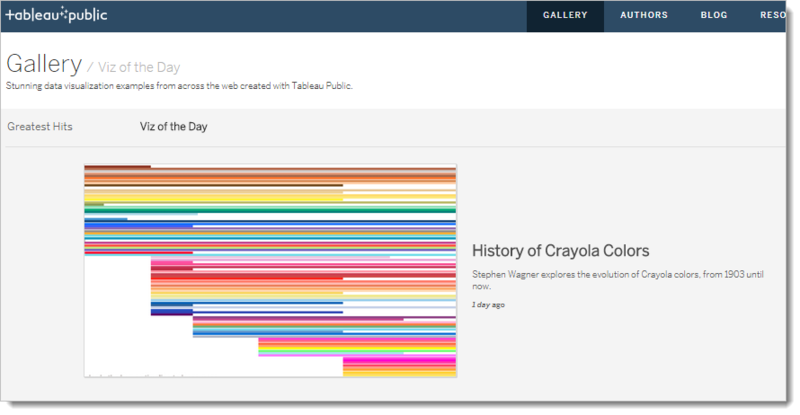 How do you communicate that people can interact with your designs?